ATTRACTIVE ALL-BRICK COMMERCIAL-RESIDENTIAL PROPERTY WITH TOTAL OF 5,889 SQFT. 2,730 SQFT 1ST FLR, 1,614 SQFT 3-BR APARTMENT ON 2ND FLR, &AMP; 1,545 SQFT BASEMENT. . . .
LIVE IN UNIT (1) AND RUN YOUR BUSINESS FROM THE FRONT UNIT (3) AND STILL HAVE RENTAL INCOME FROM UNIT (2) . CURRENT USE IS A 3-FAMILY, NEWLY REMODELED WITH 4000+ TOTAL . . . OPPORTUNITY IS KNOCKING! THIS EXTREMELY WELL MAINTAINED TURNKEY READY BAR IS WAITING FOR YOU TO MAKE IT YOUR OWN! POPULAR BAR HAS BEEN SUCCESSFULLY RAN BY THE SAME . . .
BE YOUR OWN BOSS, IN THE HEART HISTORIC DOWNTOWN JEFFERSON. CURRENTLY URBANS RESTAURANT, FORMERLY D.B. PUFFINS AND MILKY WAY RESTAURANT. NOW IS YOUR CHANCE TO OWN YOUR . . .
2.5 ACRE VACANT LAND ZONED TO BUILD MULTI-FAMILY APARTMENT BUILDINGS OR CONDOS WITH LOW TAXES IN THE TOWN OF POLK. MULTI FAMILY PUD VARIOUS SIZES FROM 2.5 ACRES TO 10 . . . HISTORIC WAREHOUSE BUILDING WITH UPDATED APARTMENT/OFFICE SPACE CONVENIENTLY LOCATED ON A CORNER LOT IN SHARON. PREVIOUSLY USED AS A MILK PLANT FEATURES, SEVERAL . . . THIS 2 FAMILY PROPERTY IS LOCATED IN A NICE NORTH EAST SIDE SHEBOYGAN NEIGHBORHOOD IS REALLY WELL MAINTAINED AND UPDATED. BOTH UNITS HAVE 2 REALLY GOOD SIZE BEDROOMS, A . . .
HAS CONDITIONAL USE FOR 2 DWELLINGS. LOTS OF POSSIBILITIES. MAIN LEVEL HAS 2-3 POSSIBLE RENTAL SPACES. FRONT ROOM WAS SET UP AS A BEAUTY PARLOR OR STUDIO APARTMENT (1250 . . .
OFFERING YOU A PRIME REAL ESTATE LOCATION, THIS 13,747 SQ FT (PAO) BUILDING IN DOWNTOWN OSHKOSH, IS SITUATED DIRECTLY ACROSS FROM THE ROXY SUPPER CLUB AND JUST TWO DOORS . . .
MIXED USE BUILDING, RETAIL SPACE IN FRONT, 3 BR 1 BA APARTMENT BEHIND; PERFECT FOR OWNER OCCUPANT; GREAT LOCATION, CONVENIENT TO I-94/MILLER PKWY; MANY POTENTIAL USES. . . .
2,000 SQUARE FOOT STOREFRONT WITH A 3 BEDROOM APARTMENT IN THE UPPER. THERE ARE ALSO OFFICES AND A 1/2 BATHROOM IN THE UPPER. FEATURES NATURAL WOODWORK, SPACIOUS LIVING . . . THIS WELL MAINTAINED/LOW MAINTENANCE 5 UNIT APARTMENT BUILDING IS JUST OUTSIDE OF WAUPACA WITH QUICK ACCESS TO WAUPACA. GREAT RENTAL HISTORY! THESE UNITS ARE SELDOM . . .
UP TO DATE FLORAL BUSINESS INCLUDES ALL NECESSARY EQUIPMENT TO OPERATE BUSINESS. FLOORING &AMP; CARPETING 3 YEARS OLD. WORK AREAS &AMP; STORAGE BLDG INCLUDES 1 2003 . . . THIS WELL BUILT HOME SITS ON A LARGE CORNER LOT NEAR DOWNTOWN. IT CONSISTS OF TWO BEDROOMS IN THE MAIN HOUSE AND TWO MORE IN THE FORMER OFFICE SPACE (COULD BE A . . .
EAST END CAFE. OWNER RETIRING AFTER 53 YEARS! THIS POPULAR EATERY IS TURN KEY WITH OWNERSHIP OF ALL EQUIPMENT AND FURNISHINGS. THERE ARE ALSO TWO UNFINISHED APARTMENT . . .
WELL MAINTAINED COMMERCIAL BUILDING LOCATED ON MILL STREET IN DOWNTOWN GREEN LAKE. MAIN FLOOR OFFERS 35 X 20 OPEN CONCEPT SPACE WITH LARGE WESTERLY FACING WINDOWS, 1/2 . . . INCREDIBLE INCOME OPPORTUNITY! THIS UNIQUE PROPERTY HAS MANY POSSIBILITIES! BUILDING CURRENTLY HAS TWO � 3 BEDROOM, 1 BATH APARTMENTS PLUS A 3RD APPROX. 925 SQ.FT. UNIT . . . HERE IS A GREAT OPPORTUNITY FOR YOU TO OWN A FABULOUS BUILDING IN A BOOMING BUSINESS DISTRICT ON MKE SOUTH SIDE. LOWER UNIT IS A STORE FRONT; CURRENTLY LEASED . . . THIS IS YOUR CHANCE TO HAVE YOUR VERY OWN POPULAR NORTH SIDE BAR IN SHEBOYGAN. THE PROPERTY IS CONVENIENTLY LOCATED AND HAS ITS OWN PARKING LOT. THE BAR CONSISTS OF 4 . . .
INVESTMENT OPPORTUNITY RIGHT DOWNTOWN STANLEY. 2 COMMERCIAL SPACES ON MAIN LEVEL AND 4 APARTMENTS ON THE SECOND LEVEL. RENT FOR BOTH MAIN LEVEL UNITS TOTAL $1,010 AND . . .
WAUPACA 4 UNIT- APARTMENT BUILDING WITH GREAT RENTAL HISTORY AND EXCELLENT IN TOWN LOCATION. CLASSIC VICTORIAN STYLE HOME HAS LOADS OF CHARTER FEATURES BOTH INSIDE AND . . . THIS NICE BUILDING IS LOCATED ON BUSY HWY 27 SOUTH NEAR THE BUSY INTERSECTION OF HWY B. CURRENTLY OCCUPIED BY A BEAUTY SALON. REAR OF BUILDING IS SET UP FOR A . . .
READY TO OWN YOUR OWN BUSINESS? HERE? ?S YOUR CHANCE! WELL ESTABLISHED BAR &AMP; GRILL W/LOYAL CUSTOMERS PLUS EARN EXTRA INCOME FROM 1 BD APARTMENT UPSTAIRS! CONVENIENTLY . . . CURRENTLY USED AS A CONVENIENCE STORE AND RESTAURANT WITH ADDITIONAL INCOMEFROM TWO (2) BEDROOM APARTMENTS IN THE UPPER. SALE IS INCLUDING BUILDING, ALL STORE EQUIPMENT, . . . INVEST AND SAVE!!! LET YOUR TENANTS BUILD YOUR SAVINGS ACCOUNT THE EASY WAY. THIS IS A 6 UNIT APARTMENT BUILDING WITH COIN-OP WASHER AND DRYER, AND 3 ATTACHED GARAGE . . .
TURN-KEY OFFICE SPACE. APARTMENT ON 2ND FLOOR CURRENTLY PROVIDES INCOME OF $500/MONTH. ALSO INCLUDES 2 CAR DETACHED GARAGE. GREAT LOCATION ON W FOREST HOME AVE, TRAFFIC . . .
RARE OPPORTUNITY TO PURCHASE COMMERCIAL SPACE WITH UPSTAIRS APARTMENT IN THE HEART OF RIVER FALLS. THERE ARE THREE LEVELS OF POTENTIAL. LOCATED JUST BEHIND THIS PROPERTY . . .
AMAZING DOWNTOWN TOMAHAWK BAR WITH GREAT CORNER LOCATION AND AMAZING EXPOSURE LOOKING FOR A NEW OWNER. THIS SPOT WOULD BE GREAT EXPOSURE FOR ANY BUSINESS. OR MAINTAIN . . . BEAUTIFULLY RESTORED HISTORIC BUILDING IN THE HEART OF DOWNTOWN BURLINGTON. THIS BUILDING FEATURES HARDWOOD FLOORS, EXPOSED FIELD STONE WALLS, HAND CARVED WOODEN BEAMS . . .
GREAT INVESTMENT OPPORTUNITY STORE FRONT ON FIRST FLOOR WITH 2 APARTMENTS ABOVE. RENTS ON UPPER APARTMENTS CURRENTLY AT $600 A MONTH HEAT AND WATER INCLUDED. STORE FRONT . . .
WALL STREET BUILDING &AMP; RENTAL - THIS OPPORTUNITY IS HUGE IF YOU'RE LOOKING FOR THE PERFECT SPOT TO OPEN YOUR DREAM BUSINESS. LOCATED ON THE SUNNY SIDE OF THE STREET, . . .
ARE YOU LOOKING FOR A SITE APPROVED FOR 3-4 STORY APARTMENT BUILDING? THIS PARCEL HAD OLD BUILDINGS RAZED IN 2014, AND NOW IS READY FOR YOUR RE-PURPOSING. THE PARCEL IS . . . THIS BEAUTIFUL VICTORIAN HOME HAS ALL 2,878 FINISHED SQUARE FEET CONVERTED INTO THREE APARTMENTS. LOWER LEVEL APARTMENT IS VERY SPACIOUS WITH LOTS OF CHARACTER. IT . . . THIS FORMER FARMHOUSE OFFERS A UNIQUE OPPORTUNITY TO OWNER OCCUPY WHILE BUILDING EQUITY. BUILD YOUR INVESTMENT PORTFOLIO WITH THIS WELL-MAINTAINED TRIPLEX. THE SPACIOUS . . . THIS FORMER MEDICAL FACILITY IS READY FOR MULTIPLE USES. ALREADY SET UP FOR AN OFFICE BUILDING AND 2 APARTMENTS FOR ADDITIONAL INCOME. A WELL MAINTAINED BUILDING HAS 11 . . .
2 BEDROOM, 1 BATH HOUSE, LARGE YARD AND DECK, ALONG WITH A GARAGE THAT HAS A 864 SQUARE FOOT YEAR ROUND APARTMENT ABOVE IT. GREAT SPACE TO USE AS A GUEST HOUSE, OR TO . . .
ALL FIELDS DETAILLISTING INFORMATIONPROPERTY INFORMATIONBATH DESCRIPTION2 BEDROOM, 1 BATH HOUSE ALONG WITH A GARAGE THAT HAS A 864 SQUARE FOOT APARTMENT ABOVE IT. GREAT . . .
2 BEDROOM, 1 BATH HOUSE ALONG WITH A GARAGE THAT HAS A 864 SQUARE FOOT APARTMENT ABOVE IT. GREAT SPACE TO USE AS A GUEST HOUSE, OR TO RENT OUT FOR SOME EXTRA INCOME! . . .
GREAT INVESTMENT PROPERTY! HOUSE FEATURES 2 BEDROOMS AND A BATH, WITH OPEN CONCEPT LIVING ROOM AND KITCHEN. THE DETACHED 2 CAR GARAGE HAS A 1 BED 1 BATH APARTMENT ABOVE. . . . UNIQUE COMMERCIAL PROPERTY WITH ATTACHED 2 BEDROOM 1 BATH APARTMENT, SHOWROOM / OFFICE SPACE AND STORAGE / SHOP AREA. APARTMENT CURRENTLY LEASED AT 800.00 PER MONTH. TURN KEY 4 UNIT APARTMENT BUILDING GREAT RENTAL HISTORY, ONSITE PARKING. ONE BEDROOM UNIT SELLER INCLUDES HEAT, ELECTRIC, SEWER AND WATER. 2 BEDROOM UNITS SELLER PAYS . . . SUCCESSFUL, WELL-MAINTAINED, TURN-KEY BREAKFAST/LUNCH RESTAURANT WITH REAL ESTATE FOR SALE. CASH FLOW POSITIVE, ALL ASSETS INCLUDED. UPPER FLOOR HAS UPDATED 3 BEDROOM . . . THIS HOUSE WILL FOOL YOU, SO MUCH HOUSE FOR THIS PRICE! FIVE OR SIX BEDROOMS AND 3 BATHROOMS, IT'S CONSTRUCTION WAS FOR A MULTIGENERATIONAL HOME. COZY DOWNSTAIRS . . . SOLID INVESTMENT PACKAGE! 5 UNITS CREATE CASH FLOW OPPORTUNITIES. LONG-TERM TENANTS, INCLUDING NEWLY SIGNED 5-YEAR LEASE TO POST OFFICE, 3 APARTMENTS, AND MAIN STREET . . . THIS GRAND OLD 1920'S HOUSE ON THE HILL IS IN NEED OF A NEW CARETAKER. IT IS STILL JUST AS GRAND BUT NEEDING THAT SPECIAL TOUCH. IT SITS ON A SPACIOUS LOT AND OFFERS . . .
GREAT INVESTMENT OPPORTUNITY! LOWER LEVEL IS CURRENTLY A BAR WITH A FENCED-IN SMOKING PATIO. UPSTAIRS IS A LARGE 3 BEDROOM APARTMENT WITH TONS OF STORAGE AND IN-UNIT . . . FINALLY - WHAT YOU'VE BEEN WAITING FOR! A WELDING SHOP WITH 3 PHASE ELECTRICAL WITH DISCONNECT FEATURE, TWO LARGE WORKSHOP AREAS, ONE WITH FULL BATH WITH HEATED TILE . . .
GREAT OPPORTUNITY HERE FOR A CASH FLOWING FULLY RENTED COMMERCIAL PROPERTY. OWNER WILLING TO SELL THE BUSINESS AS WELL. COMMERCIAL PROPERTY HAS A 2 BED 1 BATH UPPER . . . OPPORTUNITY AWAITS YOU AT THIS DOWNTOWN LOCATION. CURRENTLY BEING REMODELED BY TENANT. STRUCTURED TO HAVE AN APARTMENT IN REAR OF BUILDING WITH IN-FLOOR HEATING. . . . THIS BUILDING COMES WITH A HIGH TRAFFIC AND VISIBILITY LOCATION ALONG W.WISCONSIN AVE. WHICH INCLUDES 3200 SQUARE FEET OF COMMERCIAL SPACE ON THE MAIN LEVEL AND AN . . . FULLY OPERATING BAR AND 1+ BEDROOM APARTMENT WITH LIVING ROOM, KITCHEN, DINING AREA AND BATH. BAR FEATURES 4 SINK PREP, WALK-IN COOLER, COVERED WOOD DECK, 100 AMP CB, . . .
AMAZING INVESTMENT OPPORTUNITY, OFFICE SUITES, LARGE CONFERENCE ROOM, BREAK ROOM, 2 RESIDENTIAL APARTMENTS UPSTAIRS, CURRENTLY HAS 2 LONG TERM COMMERCIAL RENTERS, ROOM . . .
GREAT OPPORTUNITY TO OWN THIS MIXED USE PROPERTY WITH A TOTAL OF 4,488 SQUARE FEET. MAIN FLOOR HAS OVER 1800 SQUARE FEET AND WAS PREVIOUSLY USED AS A HAIR SALON. STREET . . . LISTED AS A 2 FAMILY FOR MARKETING PURPOSES ONLY. PLEASE SEE MLS NUMBER 1621957. GREAT OPPORTUNITY TO OWN THIS MIXED USE PROPERTY WITH A TOTAL OF 4,488 SQUARE FEET. MAIN . . .
GREAT INVESTMENT OPPORTUNITY!!!!! BUILDING OFFERS 4 UNITS IN TOTAL.. 3 APARTMENTS WITH 2 BEDROOMS EACH &AMP; A STOREFRONT THAT HAS BEEN USED FOR LOCAL BUSINESS WITH OVER . . . THIS BUSINESS IS READY TO BE STOCKED AND RE-OPENED. THE INTERIOR IS TASTEFULLY REMODELED WITH TONGUE AND GROOVE. THE BAR HAS A MAX CAPACITY OF 90 PATRONS, 75 CASE BEER . . .
BEAUTIFUL COMMERCIAL BUILDING IN THE HEART OF HISTORIC SHEBOYGAN FALLS. FEATURES A 3 BED/1 BATH APARTMENT UPSTAIRS. DOWNSTAIRS FEATURES 2 BUSINESS OFFICES WITH 1/2 BATH . . . THIS IS A SOLID STRAIGHT BUILDING OF MOSTLY CONCRETE BLOCK AND CONCRETE. THE BASEMENT IS VERY USEABLE WITH 2 STAIRWAYS AND A CONVEYOR TO THE BASMENT FROM THE LOADING . . .
ARE YOU LOOKING FOR RENTAL AND INCOME OPPORTUNITIES, LOOK NO FURTHER. CHECK OUT THIS 5 UNIT APARTMENT BUILDING. WHEN THIS APARTMENT BUILDING IS FULL, IT HAS GENERATED . . .
EXCEPTIONALLY WELL MAINTAINED TRIPLEX INVESTMENT PROPERTY WITH EXCELLENT HISTORY OF RENTAL INCOME! COME VIEW THE INSIDE AND THE LOCATION OF THIS PROPERTY! EITHER LIVE IN . . .
ARE YOU LOOKING FOR A HOME WITH LESS MAINTENANCE IN A CONDO THAT DOESN'T FEEL LIKE AN APARTMENT? THEN THIS IS THE PLACE FOR YOU! THIS RANCH-STYLE CONDO HAS A FULL . . .
WELL ESTABLISHED, POPULAR BAR/GRILL FOR SALE IN MASON LOCATED NEAR THE WHITE RIVER AND ATV TRAIL! THERE IS AN APARTMENT LOCATED UPSTAIRS WHICH GIVES YOU THE OPPORTUNITY . . .
INCOME PRODUCING INVESTMENT! 87 FEET OF WATERFRONT ON RIVER WITH SPACE FOR 4-5 BOATS TO DOCK. ACCESS TO LAKE MICHIGAN AND GREAT FISHING. FIVE CAMPSITES AND A BUNKHOUSE . . . HERE IS YOUR CHANCE TO OWN A FOUR FAMILY INVESTMENT PROPERTY. FOUR ONE BEDROOM APARTMENTS ALL HAVE SEPARATE UTILITIES AND CENTRAL AIR. BRAND NEW ROOF. TWO UNITS DOWN AND . . . BUILT IN 1947 BY THE MAZNIO FAMILY, METRO'S SKI INN WAS OPERATED AS A FAMILY RESTAURANT, BAR AND INN UNTIL 2009 WHEN THE OWNERS RETIRED. THE TWO WOOD-BURNING FIREPLACES . . .
OWN A SLICE OF HISTORY WITH PURCHASE OF "HOTEL BAR &AMP; GRILL", WHICH FEATURES 1200 SQ. FT. BAR AREA &AMP; SEATS APPROX. 30 PEOPLE. HISTORIC BACK BAR WITH 4 X 12' PLATE . . .
3 UNIT COMMERCIAL BUILDING WITH 2 APARTMENTS. ZONED B-2 COMMUNITY BUSINESS DISTRICT WITH 2112 SQ. FT., 2 CAR GARAGE AND USABLE SPACE IN BASEMENT FOR STORAGE WITH A HALF . . .
DUAL PURPOSE BUILDING, SMALL BUSINESS/OFFICE SPACE ON FIRST FLOOR, 4 BDRM APARTMENT UPSTAIRS WITH RENTAL INCOME, SHOP AREA/COLD STORAGE IN REAR OF BUILDING, INCLUDES A 1 . . .
''IT'S JUST A BAR''... WITH A LOT OF HISTORY BEHIND IT. LOCATED IN BEAUTIFUL ''DOWNTOWN TREVOR'', A GREAT PLACE TO GATHER WITH FRIENDS AND WATCHALL OF THE SPORTS GAMES. . . .
AMAZING LOCATION &AMP; INVESTMENT OPPORTUNITY TO OWN YOUR OWN BUILDING/BUSINESS ON MAIN STREET IN SPOONER. SPOONER MARKET &AMP; GRILL HAS BEEN A SUCCESSFUL RESTAURANT . . .
8.08 ACRE PARCEL LOCATED ON THE SOUTH EDGE OF VIROQUA. HWY 14, SOUTH MAIN STFRONTAGE WITH SUPER VISIBILITY. GREAT LOCATION FOR SHOPPING CENTER, RESIDENTIAL DEVELOPMENT, . . .
TURN-KEY SALE OF A TAVERN WITH KITCHEN AND REMODELED TWO BEDROOM, ATTACHED, APARTMENT! THE APARTMENT MAKES FOR A GREAT INVESTMENT OPPORTUNITY OR FOR OWNER/USER . . .
BRING YOUR BUSINESS IDEAS TO THIS GREAT CASH FLOWING PROPERTY LOCATED IN THE CITY OF KIEL. ALL FOUR UNITS ARE OCCUPIED. THE COMMERCIAL AREA IS OPEN CONCEPT AND CURRENTLY . . .
LARGE COMMERCIAL SPACE ON A NICE CORNER LOT WITH A 2 BEDROOM APARTMENT UPSTAIRS CAN BE YOURS IF YOU ACT FAST! NICE DISPLAY WINDOWS AND AN OPEN FLOOR PLAN WITH A 2 CAR . . . COURTESY: HIBL'S REAL ESTATE SALES, INC.
MOVE IN READY EXTRA LARGE VICTORIAN HOME. NEWER ROOF AND SIDING. FENCED IN YARD WITH 2.5 GARAGE. BEAUTIFUL HARDWOOD FLOORS, FIREPLACE AND MUCH MORE. IT ALSO HAS A SMALL . . . HERE'S YOUR CHANCE TO OWN A GREAT PIECE OF MANITOWOC HISTORY, THE SITE OF THE ORIGINAL EMPIRE THEATER. THIS EXTREMELY VERSATILE MULTI-USE BUILDING OFFERS SO MANY . . .
BUSINESS OPPORTUNITY IN NORTHERN WISCONSIN! CONSTRUCTED BY MCNAUGHTON'S FOUNDING FAMILY IN 1929 AND EXPANDED IN THE MID 1960'S, THE MCNAUGHTON PUB HAS LONG BEEN THE . . .
GREAT INVESTMENT OPPORTUNITY IN SILVER CITY NEIGHBORHOOD!!! HIGH DEMAND, FAST GROWING BUSINESS AREA! MIXED USE COMMERC./RESID. BUILDING FEATURES A LARGE COMMERCIAL SPACE . . . PLENTY OF OPPORTUNITY WITH THIS 12,000+ SQ FOOT BUILDING. INCLUDES SIX FULLY RENTED APARTMENTS, TWO RETAIL OR OFFICE SPACES AND PLENTY OF UPDATES. APARTMENTS HAVE SEEN . . .
LARGE 2.22 ACRE SITE ZONED URBAN RESIDENTIAL. IDEAL SITE FOR MULTI-FAMILY APARTMENTS OR CONDOMINIUMS. LOCATED NEAR THE INDUSTRIAL PARK WHERE SHEBOYGAN RESIDENTS WORK . . . WONDERFUL COMMERCIAL PROPERTY CURRENTLY SET UP AS A GIFT SHOP THAT HAS A RENTAL APARTMENT ON SECOND FLOOR. LOCATED ON BUSY CTH A AND NEXT TO THE NEW SHOPKO. PROPERTY HAS . . .
AFTER 46 YEARS OF RUNNING SUCCESSFUL RESTAURANT/ROOTBEER STAND, OWNERS ARE RETIRING. MANY POSSIBILITIES W/THIS PROPERTY-COULD POTENTIALLY HAVE MORE AVAILABLE LAND IF . . .
4800 SQ. FT. COMMERCIAL PROPERTY WITH TONS OF POTENTIAL IN BEAR CREEK, RESTAURANT, STORE AND 4 APARTMENTS. THE FORMER POPLAR SCHOOL BUILDING. THE BRICK WORK ON THIS BUILDING IS IN VERY GOOD CONDITION. RECENTLY, THE BUILDING HAD BEEN RE-PURPOSED FOR USE AS APARTMENTS. A ROOF . . .
GREAT LOCATION FOR THIS NEWER 4 UNIT COMMERCIAL BUILDING CONSISTING OF MAIN FLOOR OFFICES AND 2 UPPER APARTMENTS. FULL OCCUPANCY WITH MONTH TO MONTH LEASES. MINIMAL . . .
10 ACRE HOBBY FARM BETWEEN SIREN AND FREDERIC HAS BUILDINGS AND FEATURES THAT COULD SERVE MANY KINDS OF DREAMS! FARMHOUSE HAS 5 BEDROOMS AND 2 1/2 BATHS, COUNTRY STYLE . . .
WELL ESTABLISHED RESTAURANT IN STRONG GROWING COMMUNITY REPEAT CUSTOMERS, STRONG SUMMER SALES 12 TABLES, NEWLY REPLACED FLOORING THROUGHOUT KITCHEN, CAN OPERATE WITH TWO . . .
GREAT OPPORTUNITY FOR INVESTORS! TWO DUPLEX HOMES SITTING ON ONE LOT AND ONE TAX KEY. WITH FOXCONN NEWS ALL OVER RACINE THERE HAS BEEN MORE DEMAND FOR HOMES/APARTMENTS . . .
LIVE-SLEEP-WORK OR COLLECT THE $$$ BEAUTIFULLY RENOVATED OFFICE/APARTMENT W/188 FT WOLF RIVER!! FULLY LEASED OFFERING PROFESSIONAL OFFICE W/CONFERENCE ROOMS, RECEPTION . . .
GREAT INVESTMENT OR OWNER OCCUPANCY OPPORTUNITY. SPACIOUS 2 FAMILY WITH POTENTIAL TO MAKE AN ADDITIONAL EFFICENCY APARTMENT ON THE THIRD FLOOR. MANY IMPROVEMENTS MADE . . .
GREAT INVESTMENT PROPERTY OR PLACE TO RUN YOUR OWN BUSINESS. DOWNTOWN LOCATION. FULL BASEMENT WITH TONS OF STORAGE. SEVERAL DIFFERENT OFFICE SPACES COULD BE RENTED OUT . . . TURN KEY SALON BUSINESS 100% UPDATED BOTH MAIN &AMP; UPPER LEVELS. TOTAL RENOVATED SPACIOUS 2 BEDROOM UPPER LEVEL LIVING QUARTERS. PROPERTY COMES FULLY FURNISHED WITH . . .
CommercialZip.com participates in Central Wisconsin Association of Realtors Broker Reciprocity (sm) program, allowing us to display other broker's listings on our website. Information deemed reliable but not guaranteed. Information is being provided for consumer's personal, non-commercial use. 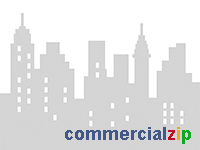 CommercialZip.com participates in Regional Multiple Listing Service of Minnesota, Inc. RMLS/SASI Broker Reciprocity (sm) program, allowing us to display other broker's listings on our website. This information is deemed reliable but not guaranteed. Information is being provided for consumer's personal, non-commercial use.